Why We Need Art – MIXTAPE – A compilation of personal opinions on writing, art, creative inspiration and politics from a curious old soul who lives a few decades behind. A friend of mine was visiting from out of town last weekend, and we were looking for a way to burn some time Saturday afternoon. I suggested visiting the Chicago Cultural Center. Have to give credit where credit is due – my mom discovered this place on one of her first visits to the city after I moved here. It’s free of charge and has become my ace-in-the-hole suggestion for something to do. 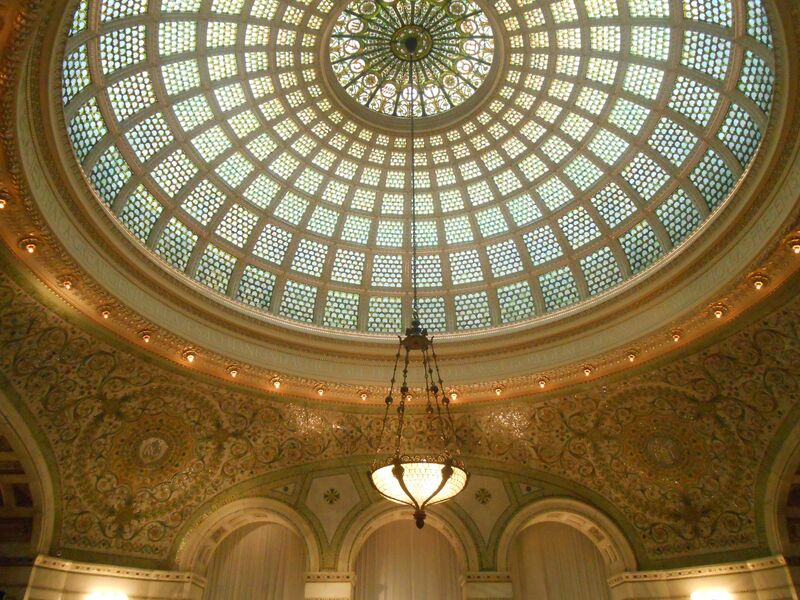 The Chicago Cultural Center first opened in 1897 and is an official Chicago Landmark. Originally a library, it was converted to an arts and culture center in 1977 and houses over a thousand new exhibitions and programs each year. The Cultural Center’s largest mainstay attraction is the Tiffany glass dome located in Preston Bradley Hall. When I have an emotional reaction to a piece of art, regardless of it’s a painting, sculpture, performance, or book, I step back to identify what I’m feeling and what caused it. I analyze how I could apply a similar emotional trigger in my writing. 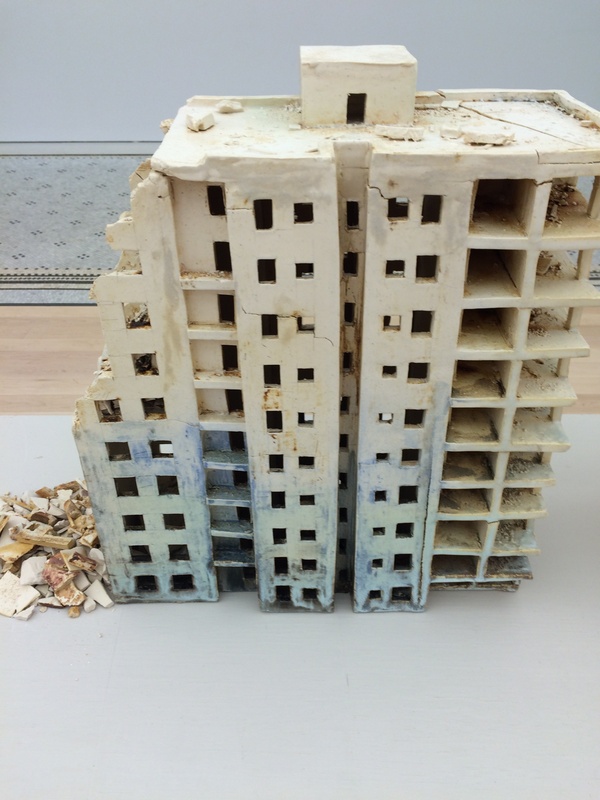 As I first looked at Ruttan’s buildings, I compared their likeness to images of destruction I’ve seen in the news. Her buildings elicited a deeper response. Why? How could a replica be more stirring than the actual scene? The fact is, I (we) am desensitized to the chaos I see in the news. It’s visible on a daily basis in the form of video and still photographs. Experiencing an event through the same medium has lost its emotional grip over time. 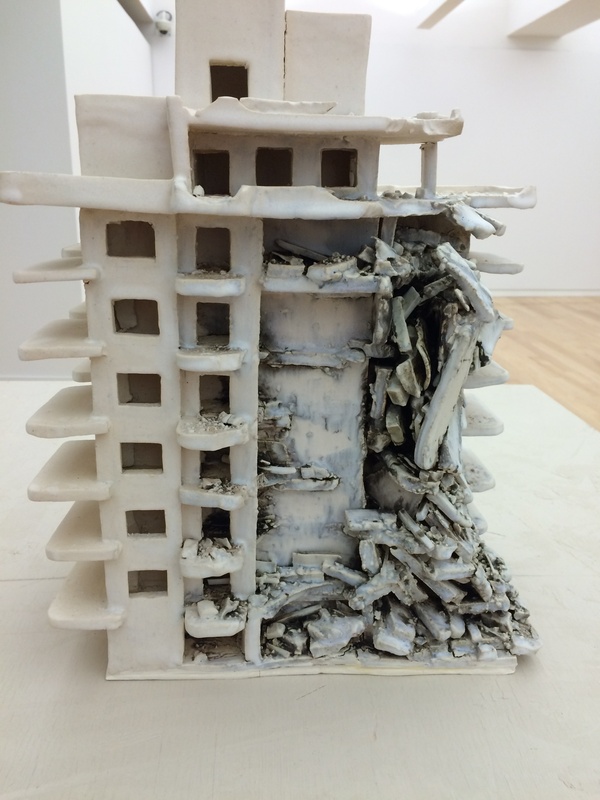 Ruttan’s buildings offer an extraordinary intimacy to the Israeli attack in Lebanon. 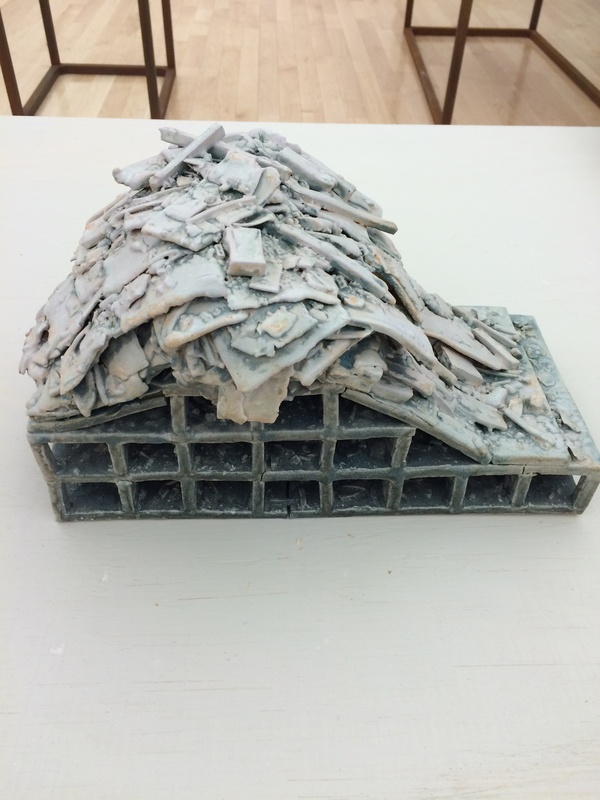 I reflected on her process of thoughtfully shaping each piece of rubble with her hands, constantly mindful of the circumstances of the actual event she was replicating. Art can serve a purpose in two distinct ways. One woman was inspired by an experience. 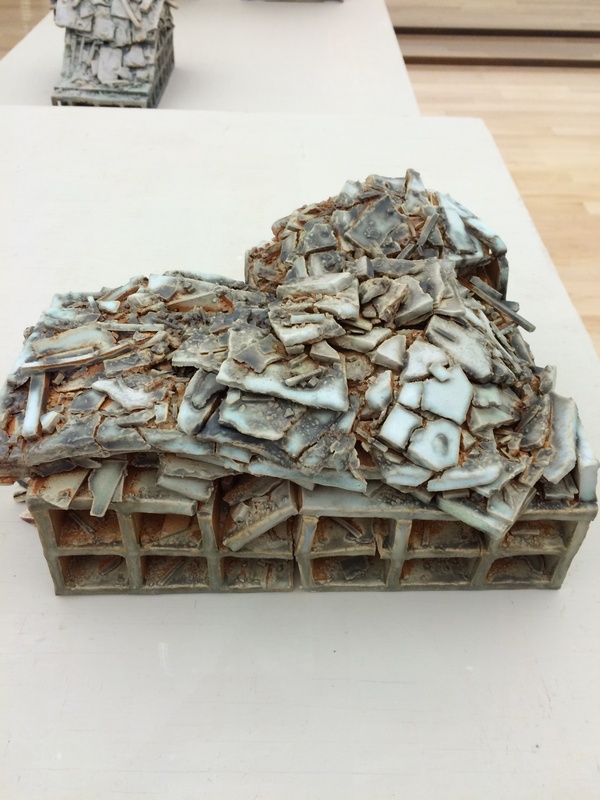 As an artist, she fed her individual need to turn that inspiration into something physical. The benefit of art continued when someone like me walked into her gallery and the scenes of Lebanon, 2006, resonated on a level they hadn’t previously. Joy, suffering, love, and pain are permanent themes of human life. Artistic expression is vital because it allows an individual to process, grow, understand and heal, and the physical product of artistic expression keeps the rest of us connected to the same human experience through the fresh emotional engagement it provides. Previous Previous post: Writing. Is. Hard.